I spent the past week at my oldest daughter’s home doing some sewing and other projects with her. 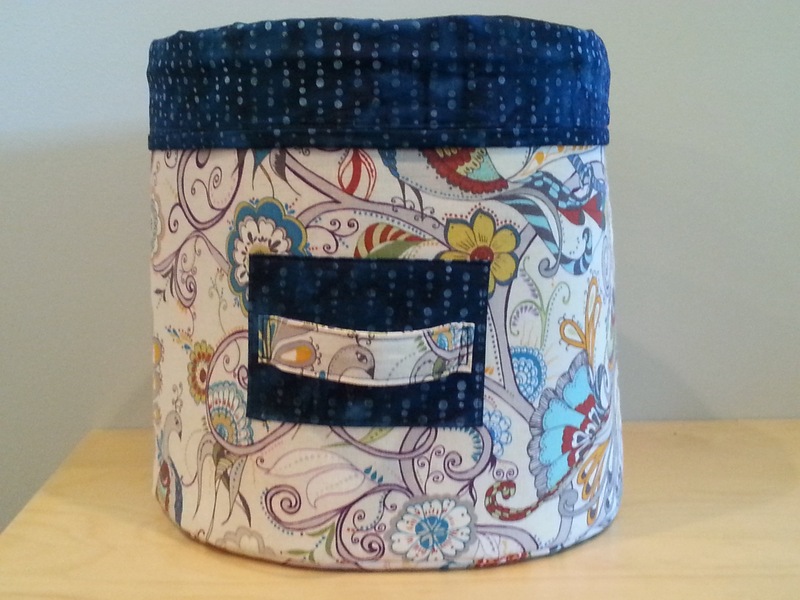 One of things that she asked me to make was this fabric bucket. The fabric on the outside is a decor weight cotton and the inside is a pretty batik. 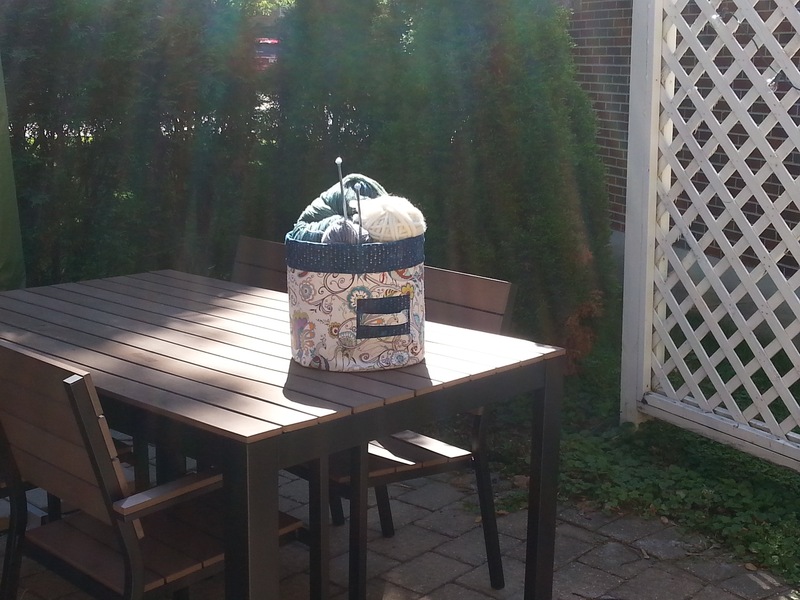 The pattern is Bucket Brigade by Atkinson Designs. This was the largest of the 4 sizes that the pattern includes. Isn’t it pretty? I love the fabrics that she picked. 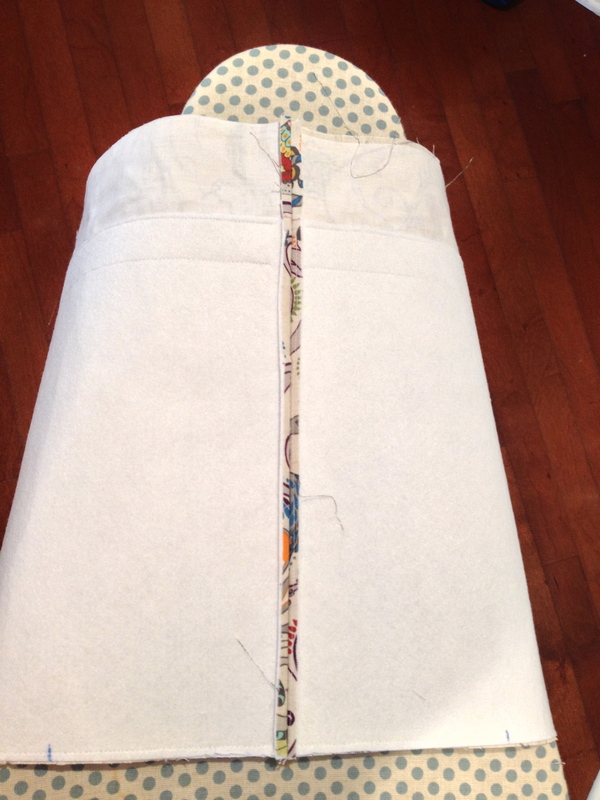 We debated about what to use for the stiff interfacing that the pattern calls for. We ended up using Peltex by Pellon which gives a very stiff finish which is what Lindsey wanted. 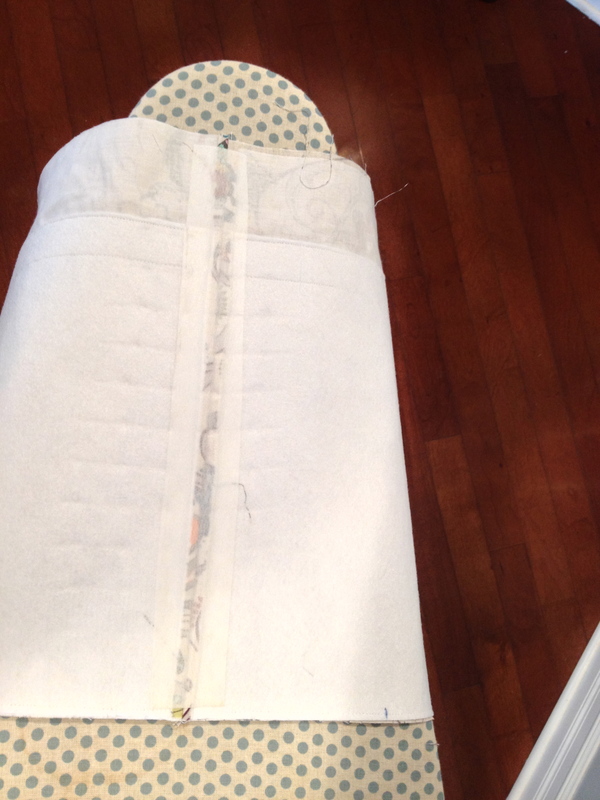 When I sewed the rectangular outer piece into a tube I was afraid that the seam would stick out and not be smooth. Here is what it looked like after ironing. I decided to iron on a strip of fusible interfacing over the seam which secured it very neatly. Interfacing fused over the seam to hold it in place. Two buckets are created (outer and inner) and when finished, the top is folded over to the outside to give about a 2 inch contrast band to the top. I didn’t want to fold over the Peltex (yikes, how could you?) and so I cut the Peltex shorter. You can see this in the photos above. If I make one of these for myself, I think I will consider using something softer than Peltex. The pattern suggests Stiff Stuff by Lazy Girl Designs but I am not familiar with this product and don’t think I have a local place to buy it. 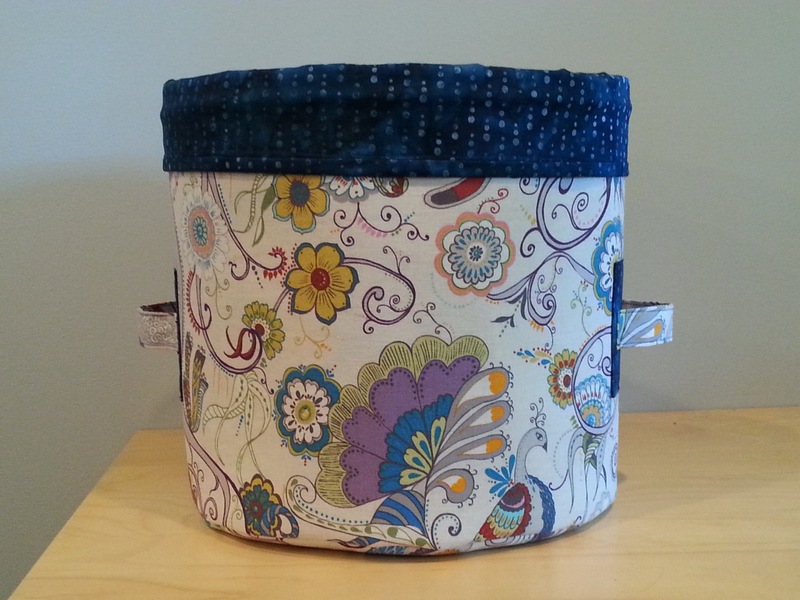 I love the way the bucket turned out and I’m sure it will be great for any number of uses! I can’t wait to make another for myself. That’s really cute and should be a very attractive way to keep projects at hand. As usual, another great project finished! That looks super sturdy. I love the combination of prints and the little details such as a contrast block before putting on the handle. Great job! Thanks Lynne! I thought it would be hard to sew the circle bottom to the “tube” sides, but it wasn’t too bad. The lining was easier to work with because it was softer as the peltex was sewn to the outer piece. It is a good pattern with good directions.